I’ve been having an idea for a long time: imagine a virtual virus that is spreading due to our social interactions. Wouldn’t it be great to see it spread and to see how people react? Foursquare was the ideal product to build upon. 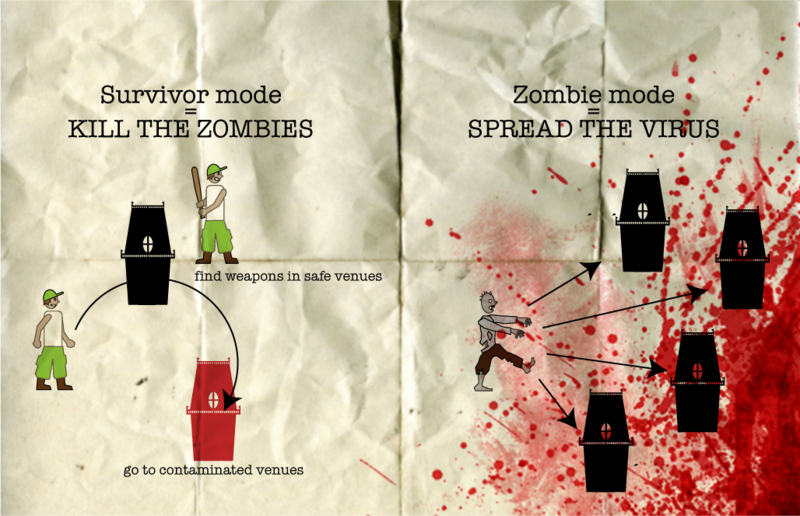 So I pitched a crazy idea about virus and zombies, saying that a game mechanism was still to be defined. Players can either be survivors or zombies. When you are a zombie, you contaminate every place you check into. Your goal is to spread the virus. When you are a survivor, you get contaminated if you check into a contaminated place. Your goal is to survive, for this you can find guns in non-contaminated places. These guns will allow you to de-contaminate places and transform zombies from these places into survivors. 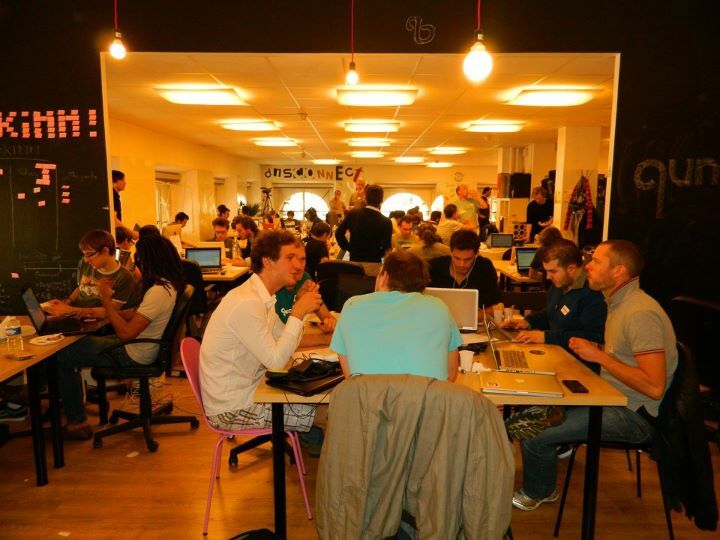 The game do not require so much actions from the players, they just have to keep using foursquare to play. We minimized the problems by adopting a cross-platform notification system that everyone is already using: emails. Technically, we used the Play! framework deployed on App Engine using Siena. I ran into a bug that made us lost some precious hours. We will polish the game and maybe come up with some nice other features (like a map to see the virus spreading all over the world!). 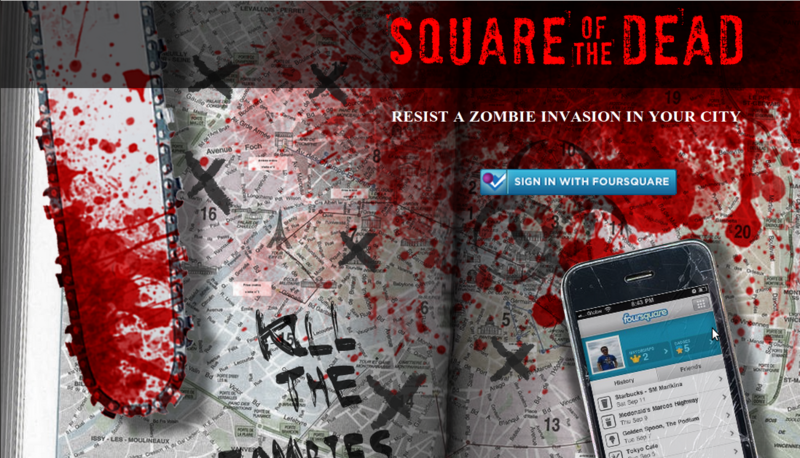 Try “Square of the Dead” now. Olivier, designer, also blogged about his experience. Gettogether: very slick mobile app to organize something with friends.